The ownership of Eaton Steel Bar Company saw the challenges coming to the transportation industry over 10 years ago and launched Atlas Trucking and Atlas Logistics. Our purpose was to ensure you receive your material per your requirements and on your schedule. While our team welcomes your company-owned truck or a 3PL company of your choice, the majority of our customers take advantage of the Eaton Steel family connection to Atlas. 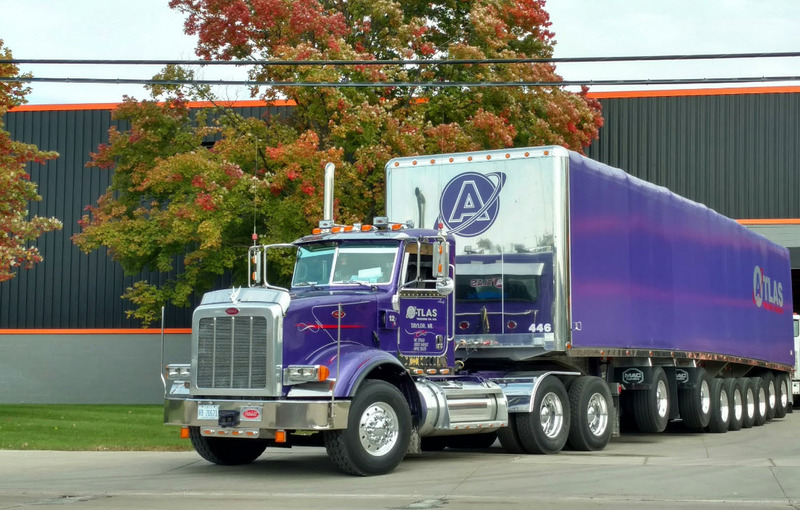 If you prefer to use Atlas Trucking or Atlas Logistics to manage your freight directly, submit your requirements , call us at (313) 291-0390, or email us at freight@atlastrucking.com. If you would like the Eaton Steel team to manage your freight for you, please contact an Eaton Steel sales representative at (800) 527-3851 toll-free, (248) 398-3434 local or at sales@eatonsteel.com. Fuel surcharges change monthly.